Chapter 4 Reflections and How I Scored Some Books! I hope you were able to come up with some great ideas of how you plan on making Read To Self work in your kindergarten class. This chapter certainly gave me quite a bit to consider. I sure was glad to have Krissy’s guiding questions to help me through it. Before I go there though, I have had many of you ask about acquiring books and making sure you have enough to get started. Teachers never truly ever have enough books do they? Believe me, that was and still is a concern of mine. Will I have enough of the right kinds and levels of books. As I’ve been planning on implementing Daily 5 over the last year really, I’ve been scrounging and collecting books anywhere I can get them. You know the usual places . . . garage sales, Goodwill, my children’s closet (shhhhhh . . . ). 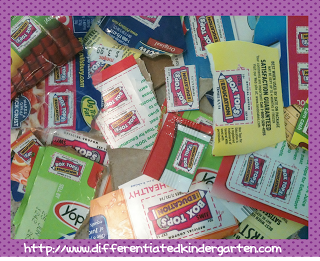 The other really HUGE bonus I had this year is that my school’s PTO collected BoxTops as I’m sure most of your own schools do. 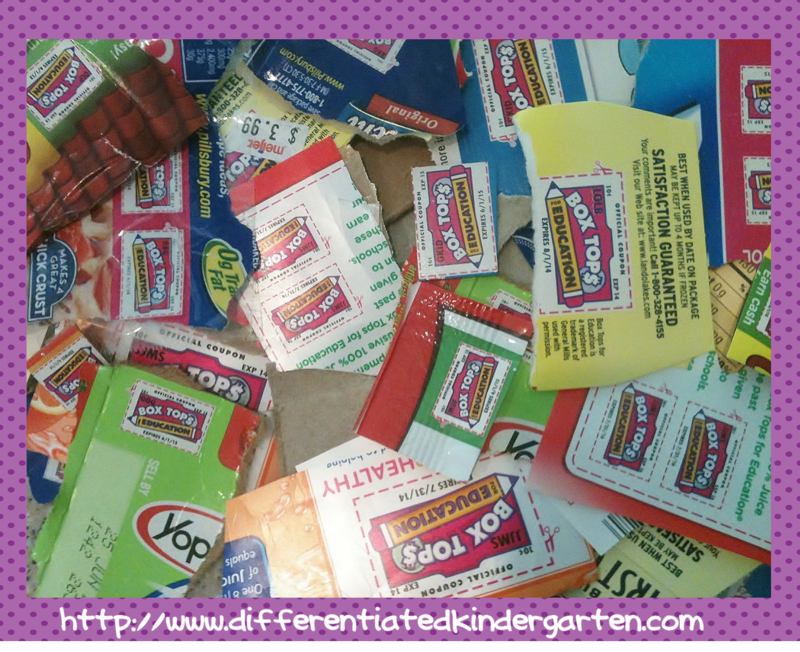 The difference with my school’s PTO is that they designated all the Boxtops collected by teachers during the first 3 months of the year to be earmarked for items for teachers to use in their classrooms. It was so fun to find books at so many levels and my money went pretty far. Take a look at everything I was able to get. I’m interested in finding out what other ideas you all have for acquiring books for your classroom library in anticipation of Daily 5? Make sure you drop me a note and share your ideas. Ok, on to Chapter 4 . . .
1) How far into the school year do you think kinders need to be to be able to begin the process of Read to Self? What is realistic? When do you plan to begin implementation? I’m of the school that if you’re gonna do something, you might as well just jump right in and start. My kinders generally work up to the expectations I have for them. If I expect them to ‘Read To Self,’ then I’m going to start it on day one. It probably won’t be very long and it will probably take ALOT of modelling and practice, but if I start on day one, I’ll be that much closer to them mastering it. One day at a time right? 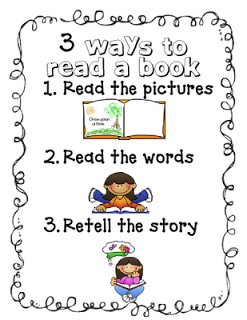 2) How will you make sure that each child views him/herself as a reader (whether they are reading words or not)? The wonderful thing about kinders is that, in general, they pretty much believe whatever their teacher tells them. When I tell them, “we’re getting smarter everyday,” they tend to come in and say, ‘ya know Mrs. McGuire, I think I got smarter yesterday. I can really feel it today.’ It’s my job to build up their confidence. I HAVE to be their greatest cheerleader, and they have to be able to support each other the same way. This is why we have so many celebrations in our class. It’s all about building CONFIDENCE! Similarly, I HAVE to give them the tools to succeed. They don’t know that you can read a book by reading the pictures or retelling a familiar story UNLESS they see someone else do it. My plan, as always, is to model, model, model and then give them the opportunity to model, model, model for each other. Even then, little visual reminders of ‘how to read’ is helpful. Of course, an anchor chart that you make together is ideal for coming to the understanding of ‘ways to read.’ But I also like a clean visual reminder for kinders to see. If you click on it, you can get a copy from her. I like it because it’s very easy for our kinder friends to understand. So is this one which is downloadable. Just click on the picture to link to this site. I also like Mrs. Bell’s Anchor Chart for Reading To Self Expectations because it’s hand drawn but there are lots of visual cues. (She has a ton of great stuff by the way. Click on the picture to check out her blog at A Place Called Kindergarten). The only thing I would need to change is the “shop for books.” I think that will be a Friday activity for my kiddos. I don’t want to waste ‘reading’ time with shopping, but that’s just my personal preference. 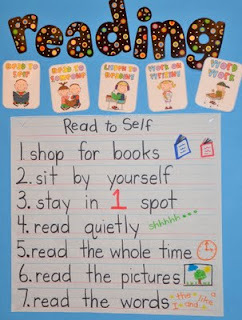 3) What are some ideas you have about “Launching Read to Self” in kindergarten? How will you go about it and what are some ways to make sure it is “kinder friendly”? Slow and steady wins the race. I think it will take consistency, routine and a ton of practice, everyday! I like how “the sisters” start out in 3 minute intervals and come back to ‘check in.’ I think it IS going to be tough starting this out the first day without know which of your kinders are going to have difficulties with it, but it won’t take long to figure out who will need more guidance. 4) How will you/do you build the children’s belief that this IS important? What can we do to encourage the ones who do not value it and create disruptions for others? 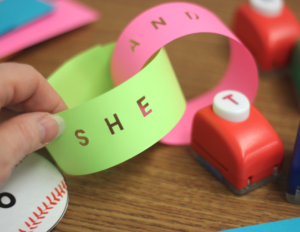 This is where tapping into your students ‘interests’ will come in handy. Knowing that Johnny loves firefighters will allow you to say, ‘ Johnny, you just HAVE to learn to read so you can check out this fire fighter book I have. Just look at all the things they tell you about fire fighting. You’re gonna LOVE this book.’ I remember in differentiated instruction that ‘interest’ is the hook. I’m gonna use interest to hook them into the importance of being able to read better and better everyday to find out more about the things that make them ‘tick.’ Hopefully by using interest and finding ways to make them feel successful, they will want to get better and better and read more and more. At least . . . this is my grand plan. 5) How valuable is Checking In and Reviewing with kindergarteners? How often will you do it? When will you do it? What are some different ways to “check in”? I think when we first start out, checking in is gonna be vital. Kinders need reminders, they love to share and they like to be heard. If we can even do simple ‘thumbs up and thumbs down’ check ins or short partner sharing of ideas of things they can do better or what they did well, the ability to share will go along way. They need to have the opportunity to figure out ways to make ‘read to self’ more successful for them and their classmates. 6)What are some problems that can occur during this problem (either that you anticipate with your kinders OR that you have experienced)? How can we be proactive about these issues? I anticipate that there will be those students that are going to need lots of practice with appropriate behaviors during ‘read to self’ and those who may not be able to deal with a ton of choices. In the beginning, I anticipate I will need to designate appropriate reading spots in the classroom and slowly release the need to assign spots. I assume there will be those students that are going to need the support of having an adult within eye shot to ‘help’ remember those appropriate behaviors. Unfortunately, kinders don’t always show up on our door step in the fall with those skills. They aren’t always equiped to make good choices. I’m not a ‘free for all’ type of teacher. I need to make sure they practice expectations and show me they know the routine BEFORE I trust them to make good choices. So that’s my take on Chapter 4. Next week I’ll be hosting Chapter 5 with my blogging pal Mary from Sharing Kindergarten. I’ll be handling the ‘listening to reading’ part of the chapter. There should be some guiding questions up for you to look at in a few days. I’m taking the 4th of July off from blogging but will probably try and get our big giveaway winner announced at some point in the day. Happy Inpendence Day! We are truly blessed to live with all the freedoms we have. Daily 5 Chapter Two . . . Things to Think About! Daily 5: Chapter 6 Word Work Guiding Questions. Marsha, Great post, thanks for linking it up! 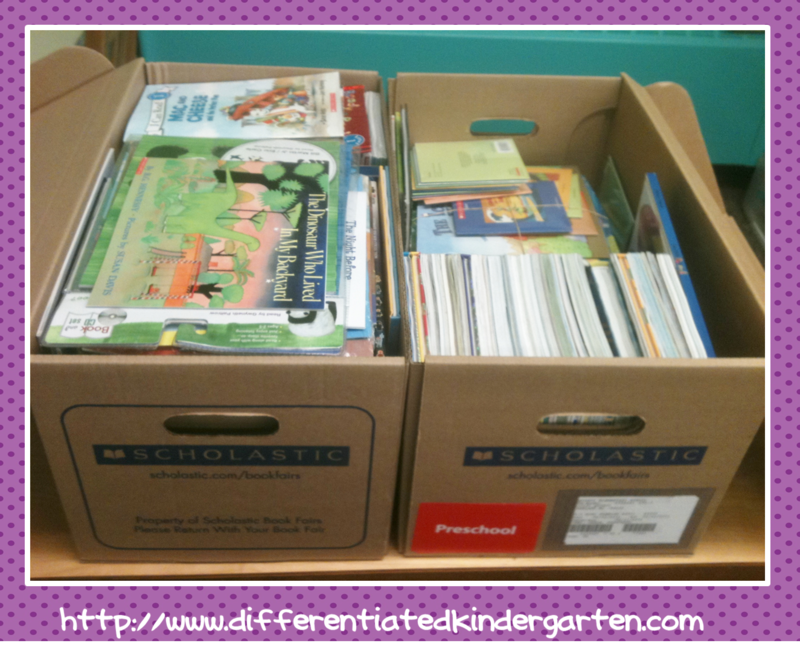 I have a question, what kind of books are you putting in their book boxes the first week of school? A mixture of picture books along with some easiest leveled readers, some a-z books and letter books. A mixture I guess and only about 5-7. I’ll do shopping for books (there’s another thing that will take forever to teach but you might as well start right out the first week)every Friday and the books will stay in for the week. I love the confidence you have in your students! Thank you for the posters with the great visuals! WOOOOOOAH look at all of those books! I love reading your posts! It makes me smile when you tell about them coming in and saying they did get smarter. So cute! May I suggest you look at Wil Books. They are from Pennsylvania. I’m in a Title 1 school and they allow you to buy one and get one free. You do have to pay shipping and handling but I loved the quality. The Pre K A are one word per page books. The books have nice quality paper and covers hold up well. I asked for a sample before I ordered. I got 360 books for $500 a year ago. They are all still in good shape. Great suggestion Lori! I’ll check it out. Where are you in Mid-Michigan by the way. I love your thougths about starting on day 1. You’re right. The sooner we start the closer they are to mastery. As I read the book I was thinking to my self that I should start right away but I am so scared to  I think I am going to have to build up MY confidence  It will also depend on the kids. Once I meet my crew I will know if they are ready. Hi! Thanks for sending people over to my lil ‘ole blog!  I appreciate it! Thanks for sharing my chart! !